Jared Kushner, President Donald Trump's son-in-law, has an interesting collection of New Jersey real estate to thank for his wealth. Before being appointed to a new role as senior White House advisor, Kushner's income came primarily from roadside apartments, industrial lots, and a trailer park in the Garden State. A lengthy financial disclosure form revealed the down scaling of his family business. A year prior, Kushner made more than $2,500 from the tenants of Union, a Park Lane Mobile Home Park. A small nearby industrial lot brought in nearly $5,000. In Wayne, New Jersey, Kushner disclosed ownership of a block of street-level apartments that returned nearly $15,000. Kushner's stakes in these holdings were some of the smallest he reported. White House ethics officials say the legally required disclosure gave a snapshot of the assets and positions he held when entering his new job as a presidential adviser before he would have started selling anything that could pose a conflict of interest. The 54-page report also included the assets and income of his wife. It covered assets worth six and seven figures. The couple's real estate and investment empire totaled up to $741 million. Kushner's property portfolio is clearly no rival for the collection of hotels, casinos, and golf courses owned or licensed by the president, but Kushner reported an interest in the Puck Building, a major fixture in New York City. It is one of his most valuable holdings and delivers millions of dollars in income. Kushner's grandfather originally started the family real estate business in northern New Jersey. His father, Charles, built up the empire until 2004. Charles pleaded guilty to 18 counts of tax evasion, witness tampering, and making unlawful campaign donations. He was sentenced to two years in prison. Daniel Lipson loves writing and working at the junction of art and technology. His education includes degrees in Creative Writing & Arts at Carnegie Mellon, and in Mass Communications & Journalism at San Jose State. His main interests are books, movies, television, games, and music that are inspiring and thought-provoking. Jared Kushner and Ivanka Trump are unpaid senior White House advisors. They don't have to worry about not bringing in any cash there, because this power couple made $82 million in outside income in 2017. 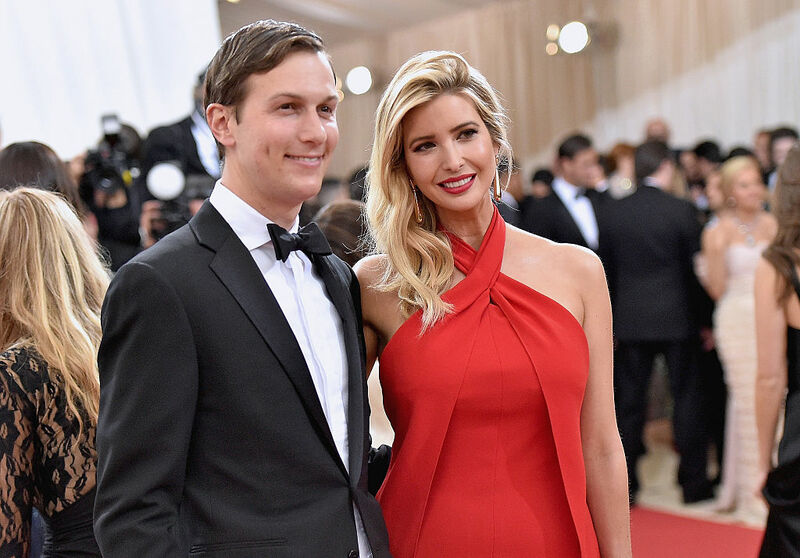 Jared Kushner and Ivanka Trump made millions before becoming presidential advisors. Now, they're letting his parents handle their properties.